I’ve always loved the sound of a chowder; it’s something that I’ve always wanted to make after having tried some in New York a few months ago. 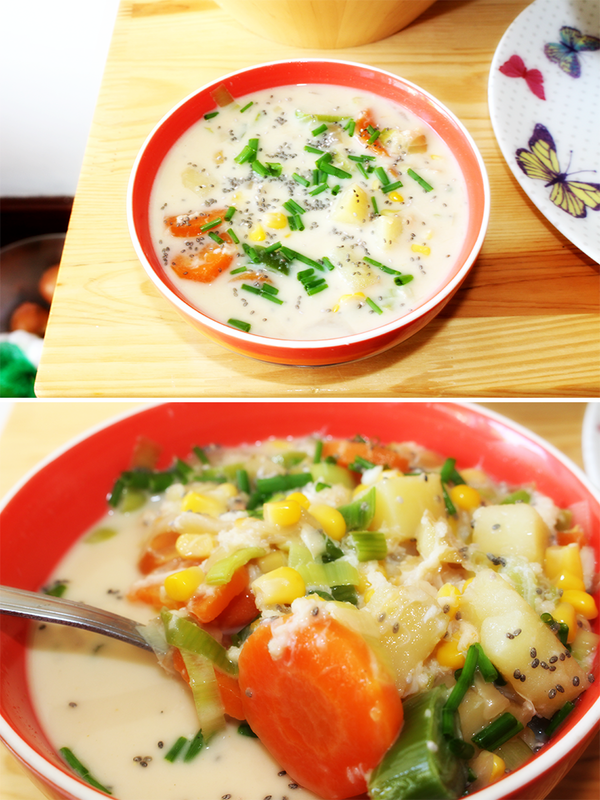 For those who don’t know what it is, Chowder is a seafood or vegetable based soup often served with milk or cream and there are many different popular varieties, however today I thought that I’d use crab. 1. 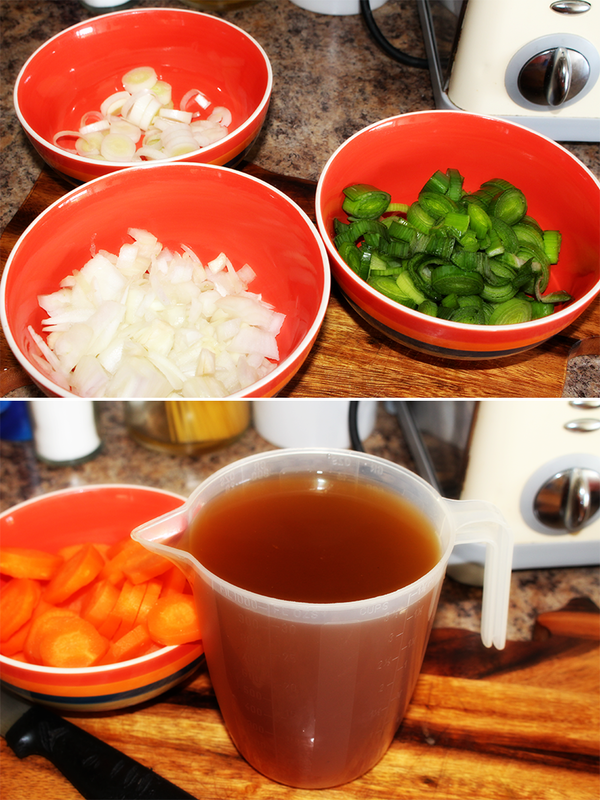 Put the onion, white part of the leek and carrots in a large pan and pour on a few tbsp of the stock. Cook over a medium heat for about 10 mins, stirring regularly until soft. Add a splash more stock if the vegetables start to stick. 2. Add the potato, green leek and most of the stock, and simmer for 10-15 mins, until the potato is tender. 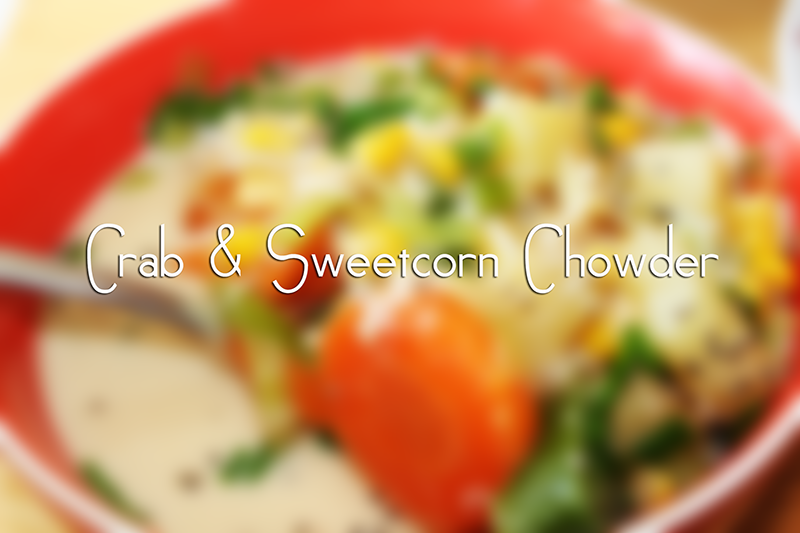 Tip in the sweetcorn and crab meat, then cook for a further 1-2 mins. Remove from the heat and stir in the crème fraîche and some seasoning. 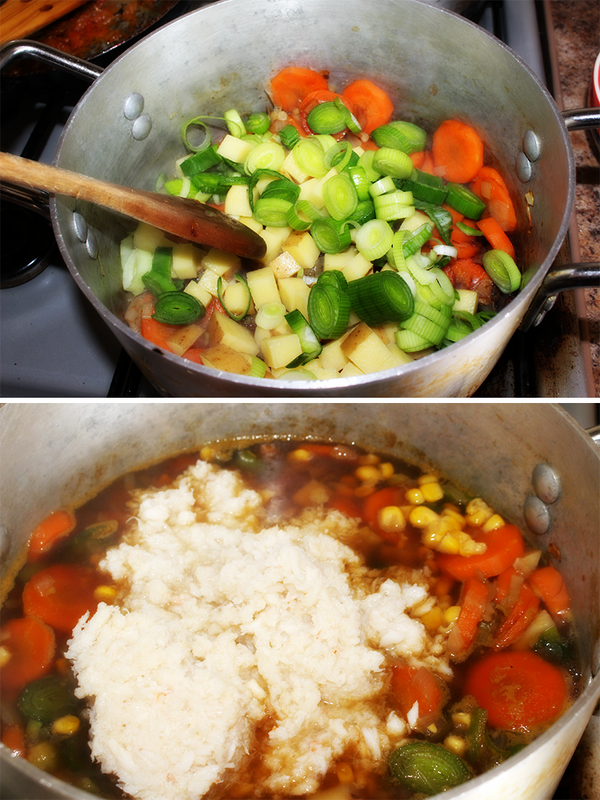 Add the rest of the stock if the soup is too thick. Sprinkle with the chives and serve with brown bread, if you like.